Last month, Poets of the Fall toured around Germany as part of their Temple of Thought launch and with a crazy turn of good luck, I won remote music's competition (Thank you!) and I was able to travel to Berlin for their headliner gig on 18th November! It was my first time flying, first time abroad and first time seeing a Poets of the Fall gig...Also the first time I’ve had Salt and Vinegar Snack-a-Jacks. 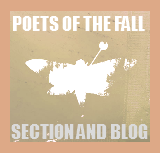 Which, to be honest, were quite exciting, but doesn’t quite compare to a long-weekend-abroad-Poets-of-the-Falling-and-Berliness. 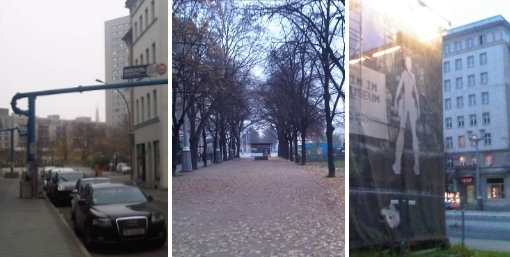 My sister and I had travelled from London to Berlin where we stayed in Spittelmarkt, situated between Alexanderplatz and Checkpoint Charlie. Yes, I've just trapped you into looking at my holiday snaps, Wahahaha! The gig was absolutely insane! We had arrived to the event 20 minutes before the doors opened and there were already a large group of people; I even caught someone in Alan Wake cosplay, which was fantastic! 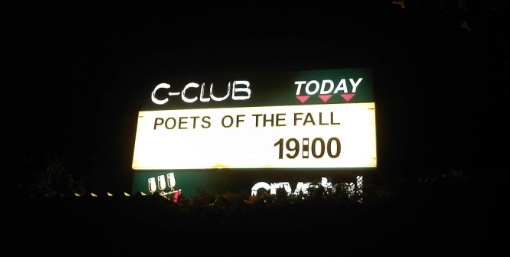 The event was being held at Columbia/C-Club where we were greeted by a large luminous sign stating “Poets of the Fall 19:00”. And it was in that moment I realised why the band used a moth as a logo. The following twenty minutes were spent outside the venue in cold drizzle, but I was too excited – and nervous! – to pay much attention to the weather. This sign, I like it...ANOTHER! When the doors did open just after seven, our names were crossed off the guest list and our bags checked by security, earning me a confused look for carrying only a book entitled “Haynes Apollo 11: Owner’s Workshop Manual”. I would be a terrible NASA employee or, in fact, a secret agent who had to keep secrets, like the fact that I was an agent. Also if I were a secret agent, I would pay the band to play covers of the previous Bond themes and the tour bus would be a Aston Martin DB9...I actually like to think that Bond had Haynes manuals for each piece of equipment that Q gave him with the text at the bottom reading "Oh, do pay attention and try to bring it back in one piece, 007!" When we did get into the main hall, it was quite a venue. To the left was the venue bar, on the right was the POTF merchandise stall where I spent a long time at pointing at all the things and then buying them. The most exciting part of the room was the stage which was covered in really shiny instruments and blinking lights. Now I'm not very short, around 5’ 7”, but everyone in the room appeared to be much taller than me and/or in heels...Especially the men! Luckily, there was a cunningly placed step so I could see the entire stage quite clearly and pretend that I was an evil genius and the entire group in front of me were my minions. There were still spaces up at the front but the view from the steps were much better and only a few feet away! Standing in one place between the doors opening at 19:00 and gig starting at 20:00 meant that my legs had began to really ache, especially after a busy day walking across Berlin and around the Computerspiele Museum. Nearing 8pm, there was an increase of activity on the stage, a Poets of the Fall concert is perhaps one of the few places where everyone pays attention to the stage in anticipation when a black feather boa is placed around the microphone stand. Then, a few minutes later, fog poured onto the stage.. The band members walked on stage one by one, Captain leading the way ala Alan Wake holding a torch to steer himself through the fog. 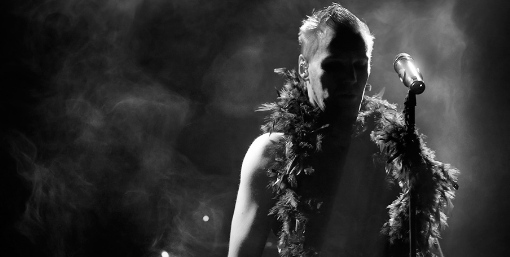 Both he and Olli were wearing rings with LED lights (which were thrown to the crowd in the final moments of the performance). Marko was the last to arrive on stage, the rest of the band already playing the initial notes of Running Out of Time. This song was perfect to start the show with, especially because of it’s a fast beat, the lights flashing in time. Within the first few moments, all of my nervousness had vanished, and I was dancing around and joining in (of course, I was miming along to the words, mainly because I know how bad I sing and I wanted to leave the show without being punched in the face...My voice has that effect on people sometimes.) The entire set up, the suddenness of the song, the great atmosphere, the energy, was so much more than anything I had imagined the gig to be - and the bar was set pretty damn high. Marko would make a very good Batman. Their second song, Diamonds for Tears, was another rock track with an emphasis on the electric guitars especially during the chorus. (Whenever it’s raining, that song always manages to find its way to the top of my playlist...Also Miss Impossible, and Carnival of Rust...I think they must really like rain). Diamonds for Tears was a track I didn’t expect to hear so early in the setlist, although I hadn’t expected Running out of Time for that matter, mainly because they are both big, dramatic songs that look like they require a lot of energy, which I wouldn’t have had if I had travelled from Finland just the day before. I did see what looked like Red Bull being left around the stage before the band came on, so that’s probably where they found the energy. (I’m quite surprised they haven’t had a song dedicated to the-...Wait....Signs of Life, I stand corrected). Diamonds for Tears, was again, wonderfully performed and also the perfect excuse for Marko to throw water around. “This water has no caffeine in”...Ok, I’m mentioning caffeine and energy far too much...I think I need to have coffee. Temple of Thought is a fantastic song which is even more vivid, when heard live. The track broke the pattern of rock songs being formed by Running Out of Time and Diamonds for Tears. Framing the show with the “rock-y” songs at the start and end with the softer, slower songs in the middle formed a perfect rollercoaster of emotion. The change was carefully planned and eased by Marko’s description before the switch of song type ensuring in the show fit together fluidly. The day after Cradled in Love was released, my friend declared I was a wuss for admitting that I got a bit tearful during the beginning moments of the song. The line “you were my beacon of salvation, I was your starlight” had actually made me pause the song in reflection. To this day, I’m not sure whether it was the imagery, the “were” and “was”, or the combination that made it so powerful. Ever since I heard that song for the first time I had wanted to hear it sung live. When I did, despite listening to it many times since the first time, that line had the same reaction as when I heard it. Jaska played the electric guitar during the song, which worked surprisingly well, especially as it is a slow song with lead vocal in falsetto. Locking up the Sun was the fourth song, which made me smile as the first few notes were played. When I was originally introduced to the band, I woke up early on weekdays to watch the music video and it had been the same song which I used to introduce my sister to the band. 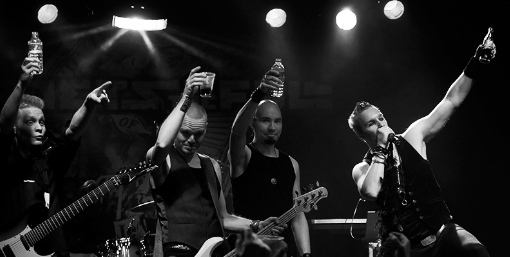 Being an electric guitar-heavy track, it made me wonder if Olli and Jaska saw the setlist and just cried in the corner, the caffeinated drinks an attempt to persuade them on stage. I had expected the song Signs of Life to make an appearance in this Tour (especially as it was one of the bonus songs from the German Temple of Thought album), still it made me smile when they started to play it, as it’s one of my favourites. 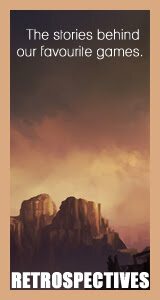 I love the blend of slow moments with the more rock-y elements, yet still having a rather soft sweet continuous theme. Stay was the song that acted as the gig’s turning point, switching the mood from rock music to a softer set of songs. Olli had moved away from the electric guitar in favour of the acoustic. The gig had taken several songs from each of their albums, from their most recent release to the first few songs they wrote as a band, which were cool to hear live especially as you get a decade of nostalgia and evolution in the space of two hours. The following song was Illusion and Dream, which naturally led the crowd into waving in time to the music, during the chorus. During the song, I noticed several of the band members mouthing along to the words during the song which was quite sweet! The song finished with an awesome guitar solo from Olli and Marko demonstrating what I like to term “improper uses for a microphone stand”. The band played The Ballad of Jeremiah Peacekeeper next, which Marko described it as his favourite track so far. The song was the slowest and the softest of the setlist and the setup on stage reflected this. Both Marko and Olli were perched on stools at the front of the stage, facing the crowd. On either side of the stage were two large black boxes which were often jumped, walked and sat on throughout the two hour set. For this song Jani sat on the left, with Jaska on the right box. While I love the band’s fast paced songs, listening to Jeremiah Peacekeeper was quite relaxing and lovely. Listening to this album live was like listening to it again for the first time and as Jeremiah Peacekeeper ended, the band returned to its more “rock-y” songs with Kamikaze Love. This track sounded quite different live, probably the result of the energy in the room from the audience and the band jumping around, which complimented the upbeat track. It was so awesome to hear played live! Miss Impossible was a really nice and unexpected surprise to find in the setlist. It was slot in between Kamikaze Love and Late Goodbye, which together forged approximately twelve minutes of my absolute favourite songs from Poets of the Fall. Of course the band have a lot of good songs and so pretty much every single one is my favourite, but I find myself playing these three the most. I can see why they had chose this song; the show had focused on some more peaceful songs with Stay, Illusion and Dream and Jeremiah Peacekeeper. And very much like this song itself, the gig changed from fast paced songs, to slower softer songs, before returning to rock. This is what Max Payne would have looked like if Olli was Max....OK, someone with Max Payne modding experience needs to do this! As a Max Payne fan, hearing Late Goodbye live was awesome! 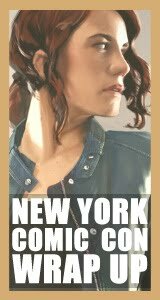 When the first few notes played, I turned to my sister and did the “Max-Payne-face”, only to discover a number of others doing the exact same thing. From the stage, the audience must have looked very weird! Unlike the original, there was a bigger presence of the electric guitars; Olli had started on the acoustic and moved to the electric later in the song. When the electric guitar was used, the band put a cool twist on the song by having a small guitar solo, Marko adding additional lyrics, and the inclusion of the Whammy. The band said their goodbyes and left after the song, leaving their audience cheering for more. The stage remained dark for a few minutes until we saw Olli, Jaska and Jani reappear on stage for a short acoustic set which was awesome, especially as the audience clapped to the beat. 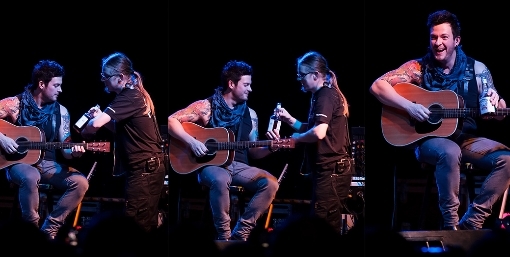 For each gig in Germany, the band had a different song playing in the background while Marko introduced the band. For Berlin this song was Sorry Go Round, which began as a bossa nova style song before descending into the more familiar rock version. Each member of the band had their moment to shine with a solo performance by each one, Jaska even played the guitar with a glass bottle as a capo, which was seriously impressive! There were also small introductions for each member, in which we learnt that Jaska is flammable, Olli may be a yoga instructor and Captain is an actual wizard. The expression at the end always amuses me, he's so cheerful! This was followed by the song, Dreaming Wide Awake, which is just perfect for a live gig because of the amount of energy it has! It’s definitely on Mr Scratch’s mix tape...Along with Psychosis, More and You’re Still Here. Which reminds me! The motel in Alan Wake’s American Nightmare should have been called Sunset Motel; the name of the motel in the Late Goodbye video. Then you would also have the Max Payne/John Mirra and Alan Wake/Mr Scratch connection. The penultimate song, Carnival of Rust was beautiful to hear live. After playing Alan Wake, I immediately discovered the Carnival of Rust HD Remastered version and the song was like nothing else that I had heard; dark twisted with sad elements and beautiful imagery not only in the video but in the words too. 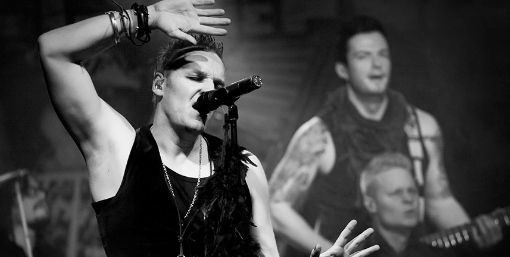 It was from listening to that song that I became a fan of Poets of the Fall’s music outside of the game. This powerful song was incredible to hear live especially the ending and chorus. The gig ended on the band’s iconic single Lift! Such a great song to finish on, with lots of jumping and cheering and many fans signalling the Morpho symbol! The final few minutes were dedicated to a great guitar solo by Olli and Jaska with Jari playing the drums, which was a brilliant end to fantastic show! 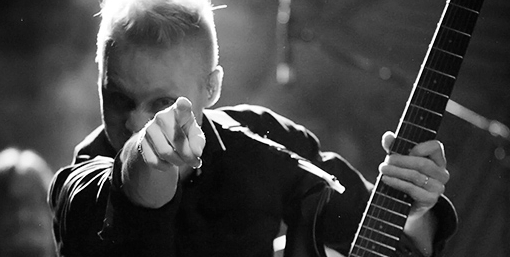 If anyone has a chance to go to a Poets of the Fall gig, it’s highly recommended, I guarantee, you will not be disappointed! I have always been a geek when it comes to autographs; my parents used to run Star Trek conventions in the 70s and 80s, so I guess it's genetic! And I had read at the POTF forums that the band sometimes talk to fans and sign items after the show. So I had brought my "Welcome to Bright Falls" poster by GamerPrint, just in the off chance. Especially as Alan Wake introduced me to the band and it's the game which the Level Up article revolves around, I thought it would be a great to have a piece of the game's merchandise signed. But it was very much a "this would be great if it was possible" scenario; I didn't really think that it would happen. The show had special VIP tickets too, so therefore I presumed that there wouldn't be something after. Except there was...And it was awesome! Many people had left, straight after the gig, so meeting the band with a small group of people was actually quite nice and made the time more personal. The first person I saw from across the hall was Marko who was sprawled out on a large wooden box in the corner of the room signing, and talking to fans. He was really kind and cheerful! A few years ago, I attended a quite expensive concert in London in which the singer refused to meet fans after the show in case he damaged his voice by talking to people. This was obviously very different. It was still quite touching that after almost a decade of the band and touring that they would still be willing and happy to talk to fans after the show. I was especially nervous to meet Captain. Not only has he contributed to some of my favourite games (Alan Wake, Rochard and Legend of Grimrock) but we had been working together on the Level Up (the Apollo 11 Haynes Manual was a gift, to him, because of this). Until Berlin, we had only really spoken through email, therefore he only knew me by my writing, so I was a little shy about meeting in person. But I'm so glad I did in the end; he is so awesome and lovely! And also he agreed that Pluto still a planet...And consequently ended the running argument between me and my brother, labelling me victorious. I genuinely felt quite sad when I had to leave to catch our train; I would have loved to have been able to talk a little longer. I also met Olli whom I was excited to meet. My first introduction to the band was through the songs Children of the Elder God, The Poet and the Muse, and War, and especially the first two had long, dramatic guitar solos. What I didn't mention, which I slightly kind of wish I did now, was that I had bought a guitar because I he inspired me to attempt to learn how to play it. As I was leaving, he called me back and asked for my name and queried if I was writing the book. Which I really wasn’t expecting, especially as I gave my real name and not the name I use for gaming projects...So it was actually quite surreal! Meeting Jani was equally great too and he was really cheerful! The band signed all sort of things for fans from CD covers to t-shirts, tickets and promotional photos. In retrospect, the Bright Falls poster was actually the best thing I could have had signed, because it’s a simplistic design, it meant that there was so much space in which the band could write. And Jani took advantage of the large spaces which was great, and he left me a personalised message (which I love), signed it and put the date. Also he gets bonus points for spelling my name correctly; simple name but there’s so many spellings! I had queried with Captain if it was possible to ask Jari and Jaska if they could sign the poster. Jari had taken a shower directly after the gig so understandably wasn’t quite dressed up for meeting people...If he was dressed for the occasion, then he’s doing something wrong. 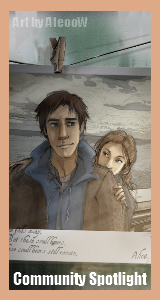 But Jaska returned again, which was great! He had been signing previously, but I had missed him. So glad that I managed to meet him in the end, we had to run to catch the train a few minutes later, so it was perfect timing! Three most memorable parts of the gig? Flexible guitarists, improper uses for a microphone stand and Pluto still being a planet! Massive thanks to Remote Music for running the Facebook competition and giving me a chance to go to the Berlin gig and do all this! And also to Captain for doing last minute double checks on things before I flew out.